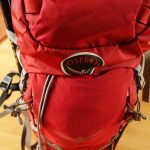 The Osprey Kestrel 38 is a back pack that is light and durable. 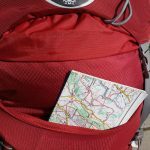 It makes the perfect partner to go on day trips or multiple day hikes to the mountains. My old back pack had more than 10 years down my back and it served me well until it started to fall apart. 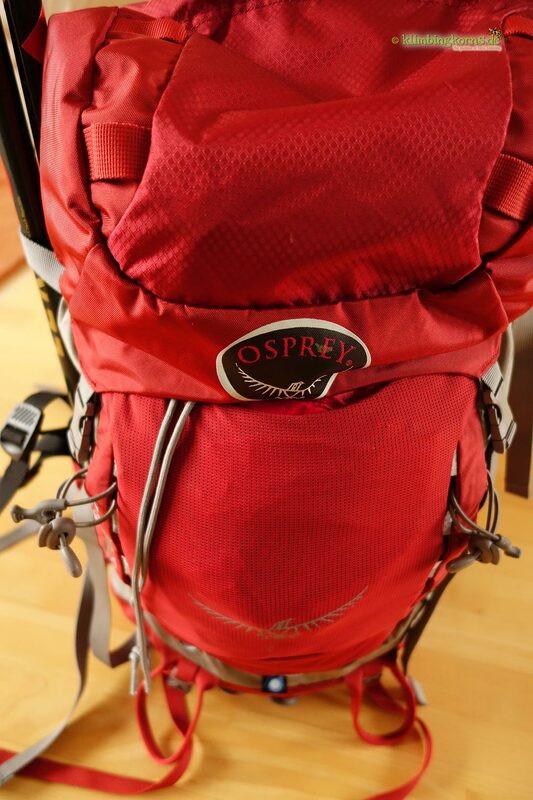 It was time to get a new pack and I had been eyeing on the Osprey pack. 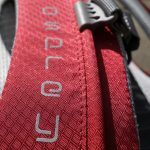 I have been using the Osprey Sojourn 80 for my travels and never had complains. When I first tried the Kestrel on, I knew that this was going to be it. Red was my colour. Because black was my uniform . Well at least it used to be until my clothing started getting colourful. Nevertheless,this was the best colour to accompany me in the mountains, bright enough to catch any attention. The pockets – oh, so many! I love pockets! I love its flexibility too. 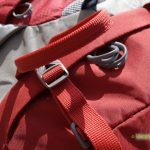 When you don’t have much to bring along, you could use all the straps and compress it to a small, flat pack and make it unnoticeable on your back. 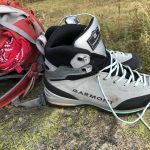 Weighing just 1,4 kg , I used it on a Via Ferrata and it didn’t catch much attention while I fumbled my way through the wires. 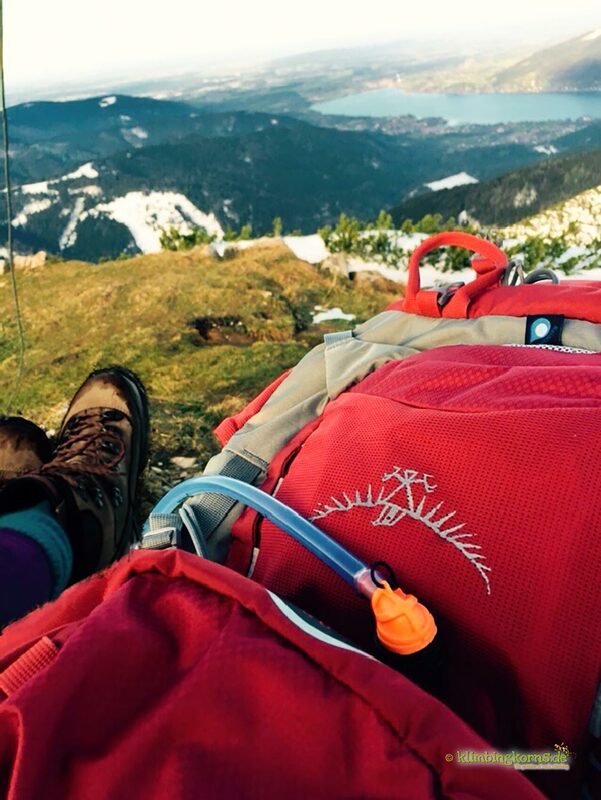 On other days, this back pack took all the things I needed on a nights rendevous with the girls at 2000m. 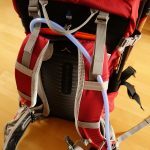 No, I didn’t need much but everything was packed well, including the 2 litre hydration bladder. A wonderful feeling when you don’t feel like the donkey lugging up canisters on your back. The pack had enough pockets in an out to make any woman happy. Keys here, cellphone there, headlamps and the swiss knife right where you can find in a jiff. This bag would’ve been the perfect city hand bag, if not for its colour and shape. 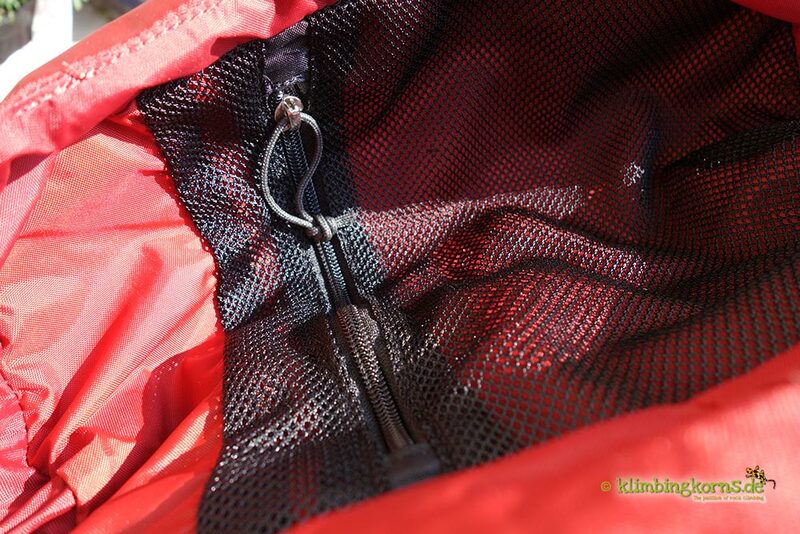 There’s a zippered pocket on the exterior lid and one mesh pocket under the interior lid. 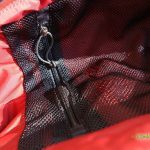 The bottom is separated by a flappy fabric to separate dirty from clean, or to put things which you could need quicker during your hike. 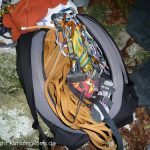 On many occasions, I used the lower compartment either for my sleeping bag, or my soiled crampons, together with some other things that needs quick access. Longer utensils like a thermos flask could go all the way down to the bottom, ensuring a good weight distribution. The Kestrel 38 is built somewhat anatomic. It fits perfect on your back, but once you put it on the ground, it tipples to the front. Of course, the main goal of this bag is to stay comfortable on your back. 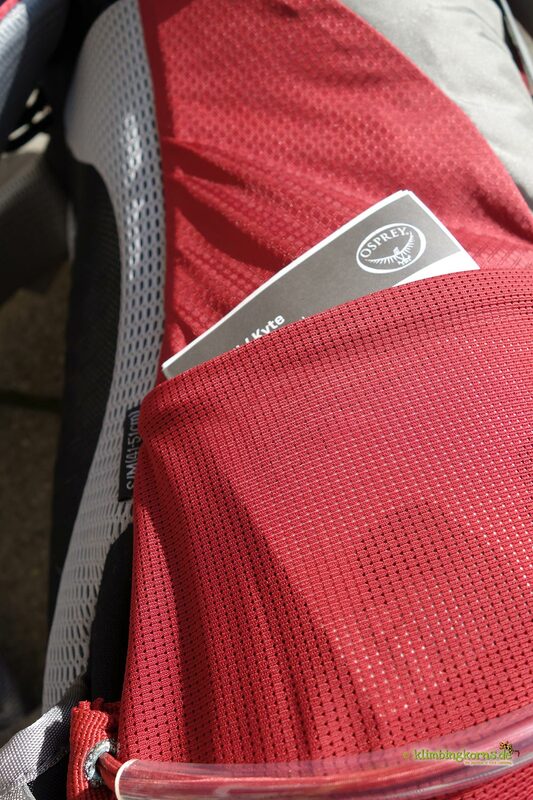 All pockets on the exterior front are mesh and elastic. 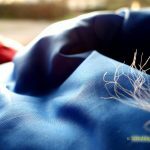 So if you have to stow away a wet beanie or gloves, there’s enough ventilation to dry it while you are on the go, and not at the end of the day. 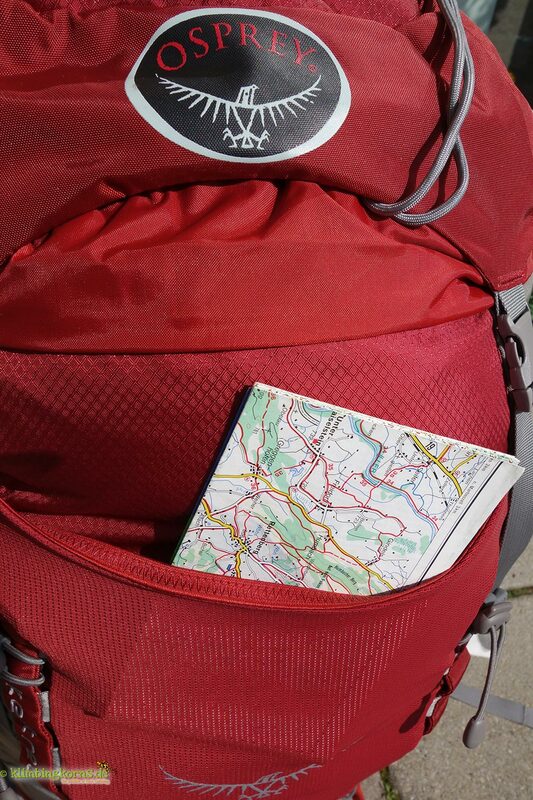 The elastic mesh is great for holding trekking maps or your snack cereals too. And seeing right away what you have there. I have a soft thing for straps. And there’s plenty of them on this Kestrel. 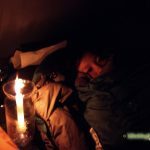 I could strap up my jacket, a sleeping mat or the wild mushrooms that I find on the way. I like having this confidence that I can extend this bag whenever I need it to and strap everything that has to be tied down. My compact cam found the perfect place at one of the side loops. There are straps for your ice tool, and enough lashes to take up a sleeping mat on the top or bottom. 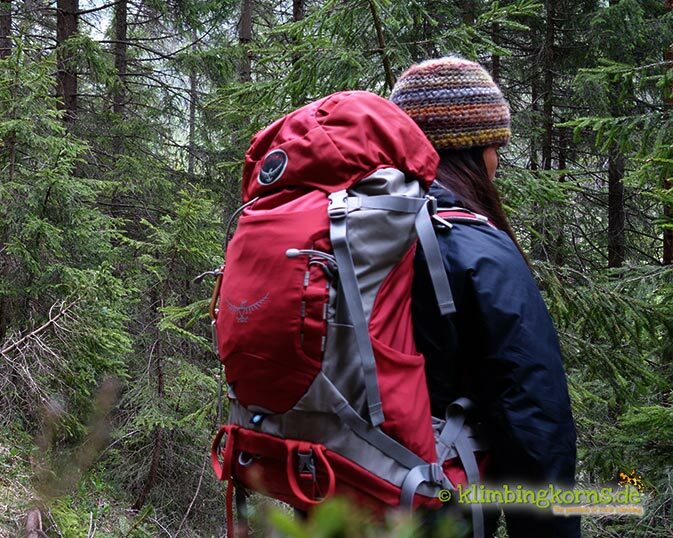 There is a special loop to take in your trekking poles without having to stop. After a first few tries, I finally mastered the trick without stopping and fumbling. You will have to feel comfortable with the poles hanging on to your sides though. Otherwise strap them up conventionally at the sides. The hip belt is padded. 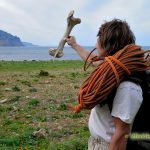 Makes the bulk softer on your hips and more comfortable on longer hikes. There are two tiny zippered pockets on each belt. I am still unsure what I could put in it, since my keys are way too bulky and too small for my cellphone. So it ends up with keeping just a lip balm in there. 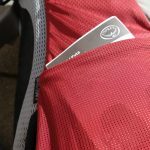 For me these two pockets could have been been ommited too, and save on weight. A Rain cover is found hidden right in front. Very practical. You might be soaked to your bones, but knowing that you have a set of dry clothes in your back soothes all your worries. Fits well, elastic bands covers everything in 2 secs. 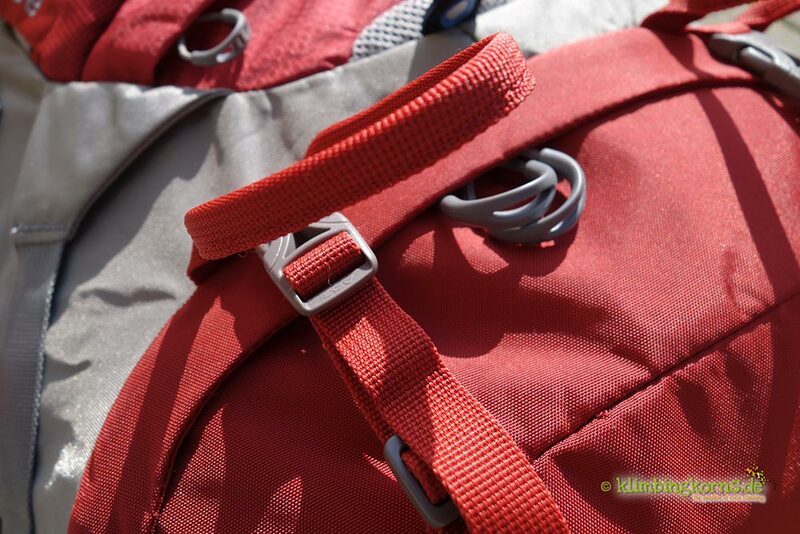 The Kestrel 38 comes with a ventilated back called Airscape that ensures proper ventilation when you start to perspire. This helps getting all that wet away from your body so that you don’t constantly overheat and can concentrate better on your performance. For the first time in my back pack history, I was using a hydration bladder that was kept in an external pocket labeled H20. 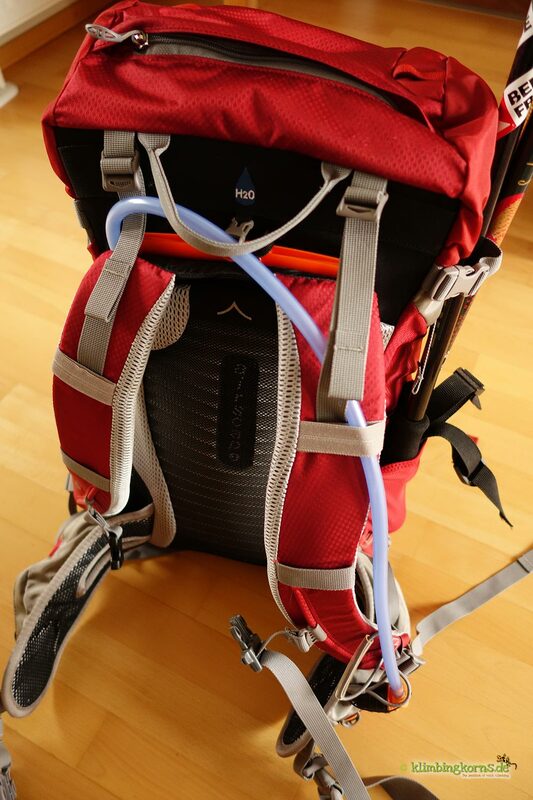 There’s a small loop and clip to keep the bladder in place. And because of the unique O-shape of the bladder, I never felt that bulge in my back. My previous back pack weighs more than 2 kg for just being empty. 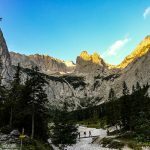 It was sheer luxus to be able to finally travel and hike light. 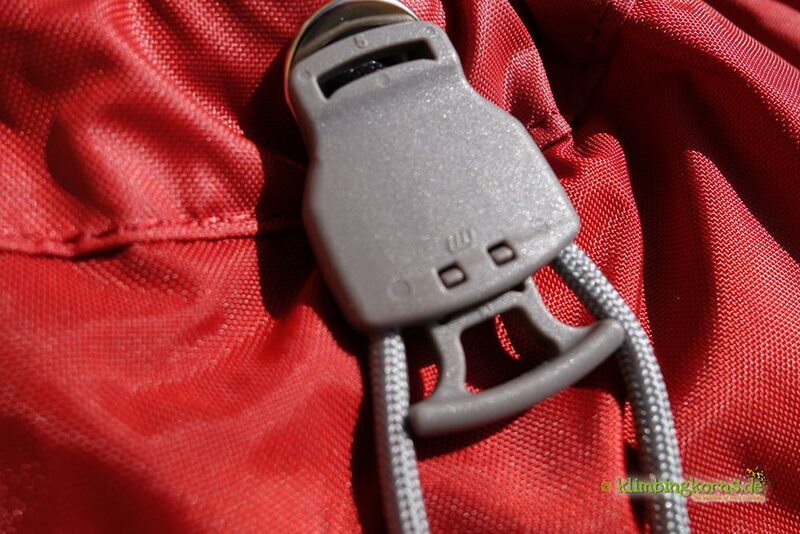 The buckles at the front and the sides were smaller than usual and pretty tight when you have big fumbly fingers. 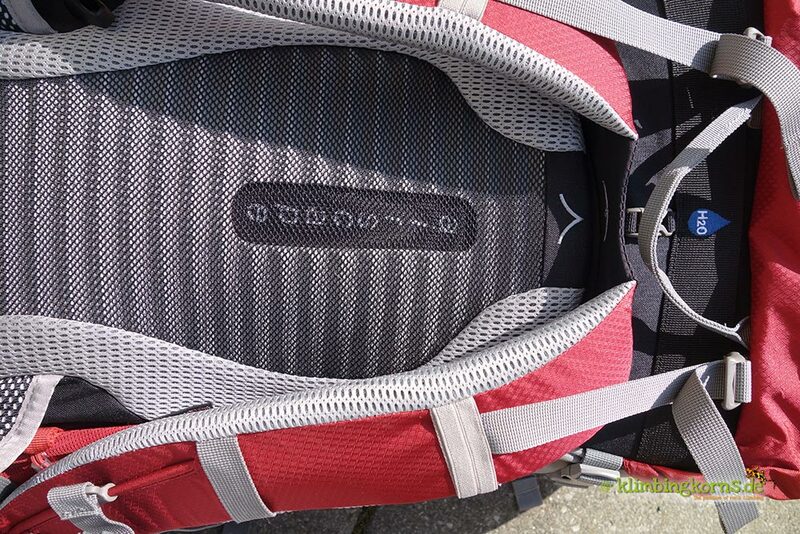 But all adjusting the back pack to suit your size and composure was a breeze. Pull here, strap there and voila, you’re ready. The first thing I thought while feeling the fabric was , hopefully it wouldn’t tear. Glad to say that this back pack had seen some trips and half a year down the road and deserved well to be titled “a durable partner”. 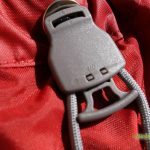 The external mesh pockets are of course a vicious victim for any bush and should try avoid getting tangled in one of them. However, none of them has suffered tears so far. I have heard some complains from other reviewers who misses a laptop compartment. While yes, I think a bigger extra interior pocket would be great, I wouldn’t put my laptop in it, but other tiny things. Ok, well laptops are yesterday. Tablets of all sizes, Cams, GPS machines, solar devices and so on are today. 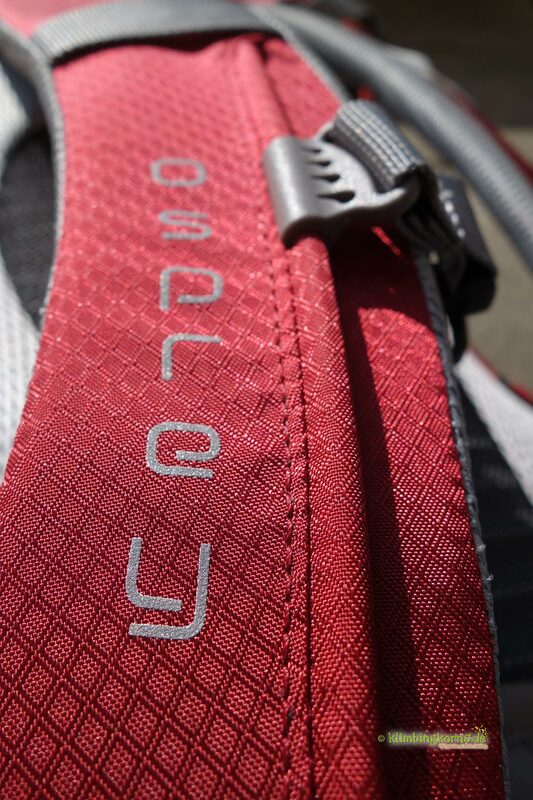 The history of the Californian company Osprey goes back till the 70-ties. 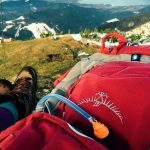 In 2014, they celebrated their 40th birthday and continues specializing in the production of some of the most awesome packs to carry on your pack. 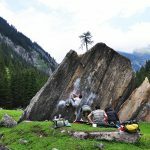 The Kestrel 38 was actually the replacement for my pack I have been using for my climbing trips. 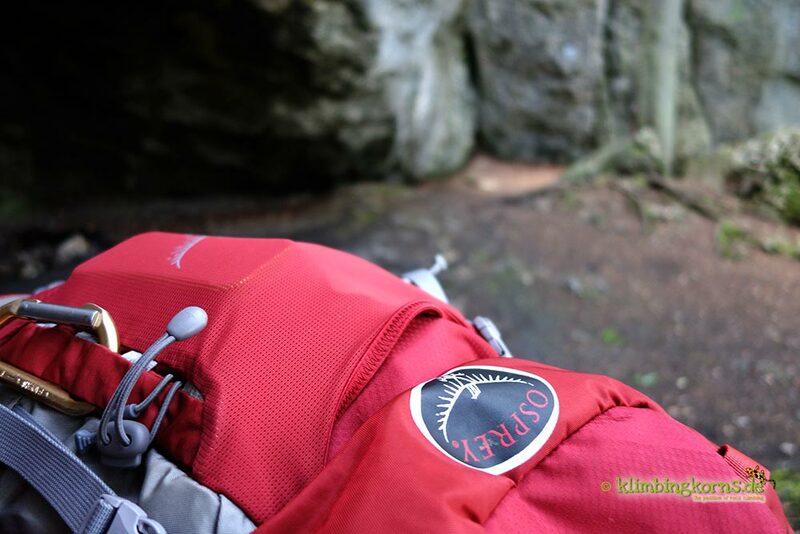 However, it became my choice to use on hikes and Via Ferratas, and for multiple day trips. 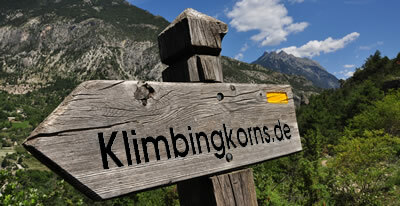 Better alternatives for climbing can be found here and here. Once an osprey, always an osprey. Yeah, you get hooked. Wished they would make some cool zippered crag bags too one day. 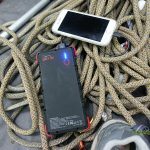 The Kestrel 38 costs 129,95 EUR and can be found in different online stores as well as at your local distributor.